So you got your free ticket and are ready for your trip to the capital for the Papal mass on Tuesday – what should you be prepared for? Here’s a comprehensive guide and checklist for all those who are attending the mass in Abu Dhabi. You can carry foldable chairs, no larger than 60cm by 40cm. Don’t carry any items that could be deemed or used as weapons, for example long umbrellas or unyielding large equipment. Alcoholic beverages, pets, pyrotechnic devices, banners or flags larger than 1.5 meters by 2 meters, flammable sprays or devices are all included in the prohibited list of items. You can see the complete list here. When you collected your ticket, you would have chosen the most convenient ‘Access Hub’ to travel from. You cannot choose to change this and will have to compulsorily travel from the chosen point. Access hubs open on Monday night and buses start leaving for the capital as early as 2am from various emirates. Attendees are requested to follow the sign boards directing them to their allocated area as mentioned on their ticket. Here are the various access hubs and timing details. Also see our detailed Google map with location pins. Nation Towers – Serving St. Joseph’s, the hub will open at 1am and close at 5am (Tuesday). Delma Street – Serving St. Joseph’s, the hub will open at 1.15am and close at 5.15am (Tuesday). Musaffah – Serving St Paul’s Church, the hub will open at 1.15am and close at 5.30am (Tuesday). Al Ain – Serving St. Mary’s, the hub will open at 11.30pm (Monday) and close at 5am (Tuesday). Ruwais – Serving St. John the Baptist, the hub will open at 11.30pm (Monday) and close at 2.15am (Tuesday). Safa Park – Serving St. Mary’s, the hub will open at 11.15pm (Monday) and close at 3.15am (Tuesday). Wonderland – Serving St. Mary’s, the hub will open at 11.15pm (Monday) and close at 3.15am (Tuesday). Al Qusais Pond Park – Serving St. Mary’s, the hub will open at 11.15pm (Monday) and close at 3.15am (Tuesday). Al Nahda – Serving St. Mary’s, the hub will open at 11.15pm (Monday) and close at 3.15am (Tuesday). Jebel Ali - Serving St. Francis, the hub will open at 12am and close at 4am (Tuesday). 76th Street – Serving St. Michael's Church, the hub will open at 11.15pm (Monday) and close at 3.15am (Tuesday). St. Anthony of Padua Church – The hub will open at 10.30pm (Monday) and close at 2.30am (Tuesday). Our Lady Of Perpetual Help Church – The hub will open at 10pm (Monday) and close at 2am (Tuesday). If you’re driving or sharing a ride with friends, park your car at Yas Island and take one of 220 free shuttle buses to the stadium. This hub opens at 1am and closes at 5am on Tuesday. Don’t forget to carry your ID and tickets to the bus and then to the stadium. 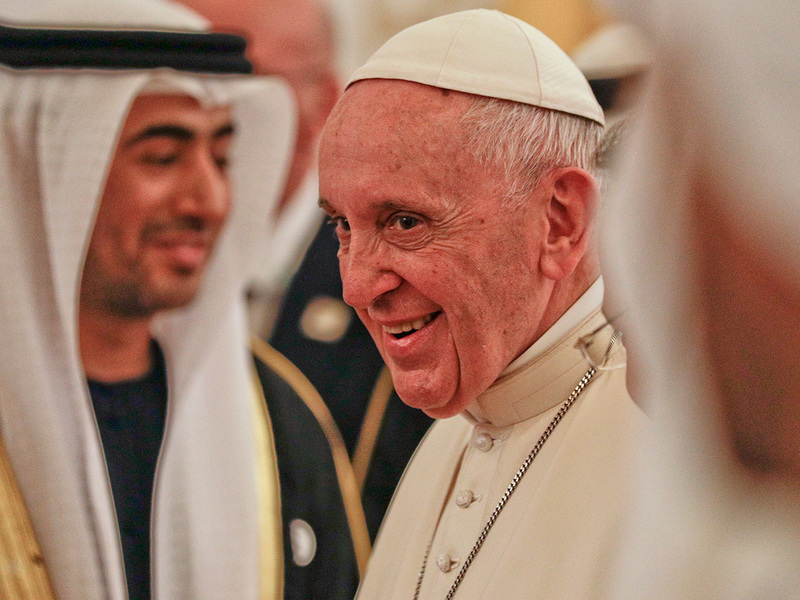 The Abu Dhabi Police, ADP, has prepared a traffic plan aimed at intensifying the traffic monitoring through smart systems and deploying patrols on the roads leading to Zayed Sports City to facilitate the flow of traffic on the occasion of the Mass of Pope Francis on Tuesday. Brigadier General Khalifa Mohammed Al Khaili, Director of Traffic and Patrols Directorate, Central Operations in the ADP, stressed their keenness to facilitate the arrival of the participants to the location easily, in line with the country's approach in setting foundations of tolerance, fraternity and coexistence between different nationalities living in the UAE. 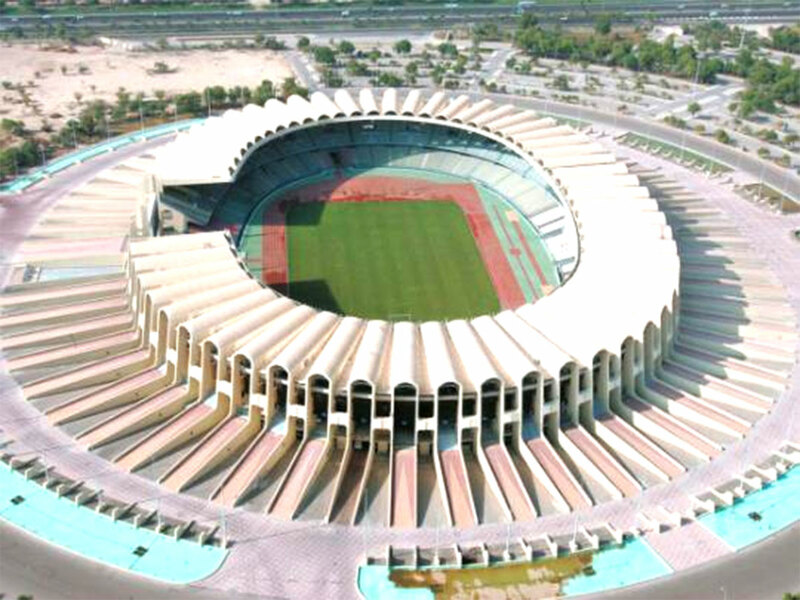 According to the plan, which will start from noon to 18:00 pm, vehicles will not be allowed to enter the area around Sheikh Zayed Sports City, and trucks and heavy vehicles (3 tonnes and above) and buses transporting workers through the Maqta Bridge and the Sheikh Zayed Bridge to Abu Dhabi, will not be allowed to enter from 01:00 to 18:00 pm. The traffic movement will be transferred to Sheikh Rashid bin Saeed Street in the area after the Al Maqta Bridge to the Al Jaweyah two-way air roundabout for a temporary period. The following parking lots have been identified for buses transporting participants to the event from different emirates: Al Bateen Airport's bus stops coming from Dubai, Sharjah, Ajman, Fujairah, Umm Al Qaiwain and Ras Al Khaimah; parking lots of Sheikh Zayed Mosque, and the Ministry of Interior, have been allocated for buses coming from Abu Dhabi, Al Ain and Al Dhafra. Attendees should be prepared to walk up to 3km from the drop off point to the venue. You may have to wait for up to 5 hours before the mass begins. The mass is scheduled to begin at 10.30am. No food or beverages are allowed inside the stadium so carry just enough to cover your bus or car ride. Essentials for exceptional cases may be allowed. Food will be sold inside the stadium till 8am and then again after the service. After the mass, you will be guided back to pick-up points for buses depending on your drop-off locations.